LIGONIER, Pa., (Jan. 22, 2019) – From architectural wonders and exotic animals to unforgettable events and remarkable historic sites, the Laurel Highlands is an ideal place to get away, enjoy the great outdoors and find your adventure. With brand new places to stay, events to participate in and attractions to see, 2019 is a great year to visit Pennsylvania’s Laurel Highlands. Sixty years after the death of America’s most prominent architect, Frank Lloyd Wright’s legacy lives on, not only at his landmarks like Fallingwater and Taliesen West, but also in architecture schools across the world. Wright’s legacy also lives on with Tom and Heather Papinchak, owners of Polymath Park, an architectural park tucked away in the Laurel Highlands, where Wright fans can tour and stay overnight in two of his designs, including the newly-rebuilt Mäntylä house, and two homes designed by his apprentice, Peter Berndtson. Built for the Lindholm family in Cloquet, Minn., Mäntylä had been on the market for many years and was in danger of demolition due to encroaching development. 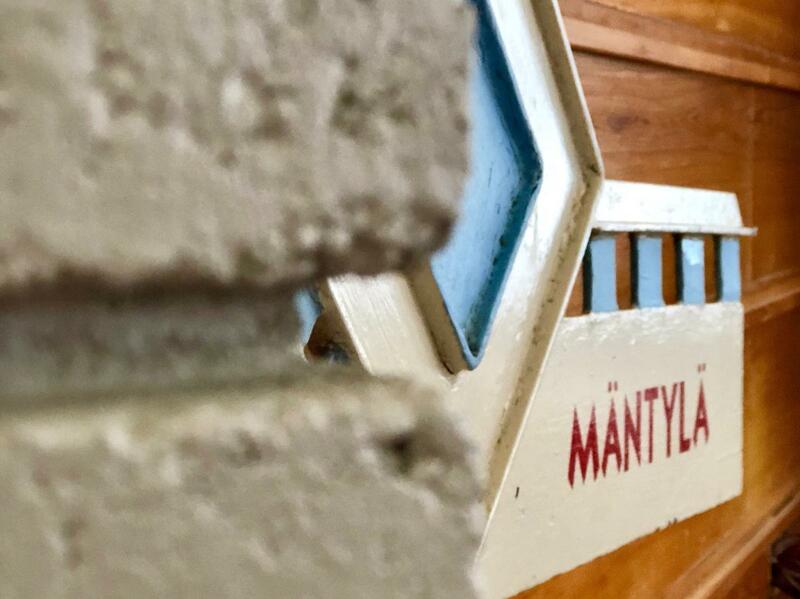 The property owners donated the home and all of its original furnishings to the Usonian Preservation Inc., a non-profit associated with Polymath Park, in hopes that Mäntylä would find a new life. Thanks to the Papinchaks, it did. The L-shaped home with a distinct prow is now tucked away under the towering trees of Polymath Park and will open to visitors for tours and overnight lodging in May 2019. Just a short scenic drive from Polymath Park are Wright’s masterpiece, Fallingwater, and his grand Usonian, Kentuck Knob, making the Laurel Highlands a must-visit for architecture fans. The first transcontinental highway in the United States, the Lincoln Highway was created in 1913. Today, it stretches from Times Square in New York City to San Francisco, with 70 scenic miles weaving through Pennsylvania&apos;s Laurel Highlands. The creation of the historic road meant vacation destinations weren’t limited to locations serviced by the railroad. The options were endless and families could explore the country at their own pace. Take a step back in time at the Lincoln Highway Experience museum to explore the history, retro memorabilia, vintage roadside signage and a stunning new expansion featuring a beautifully restored 1938 diner, a 1937 Packard-120, vintage tourist cabin and filling station. Added bonus – every admission includes a slice of pie and cup of coffee in the vintage diner. What started in 1959 as a small yet significant collection of American art is now a modern space with 3,400 objects of fine art from more than four centuries, including a stunning Tiffany window, Homer Winslow pieces and the country’s largest collection of Fraktur, a combination of decorative art and gothic calligraphy on important documents such as birth certificates or marriage licenses. The Westmoreland Museum of American Art, located in downtown Greensburg, does a phenomenal job of honoring the region by showcasing artwork reflecting its industrial and agrarian heritage in the stunning McKenna Gallery. The museum is very kid-friendly, with rooms dedicated for little ones to get creative and hands-on, art classes and summer camps. In late 2018, the museum eliminated the admission fee to ensure the facility is accessible to all. After a 100-year hiatus, the whiskey will be flowing once again at West Overton Village. Perhaps best known as the birthplace of 19th century industrialist and financier Henry Clay Frick, West Overton was the original distilling site for Old Overholt Rye Whiskey until Prohibition began in 1920. The Old Overholt brand, said to be the oldest continually maintained whiskey brand, is currently produced by the makers of Jim Beam. In summer 2019, West Overton Distilling Company will open its doors in what was formerly a stock barn. Visitors will be able to see the distillery process up close, sample the whiskey made onsite and eventually purchase a bottle to enjoy at home. “It’s a beautiful day in the neighborhood. Won’t you be, won’t you be my neighbor?” Fred Rogers began his PBS children’s television show Mister Roger’s Neighborhood with this song every weekday from 1968 to 2001, with a total of 895 episodes. Come visit Mr. Rogers’ neighborhood in Pennsylvania’s Laurel Highlands on the Fred Rogers Trail! Tour the Fred Rogers Center at Saint Vincent College, where you can see artifacts from the television series, including his iconic cardigan sweater and tennis shoes. Take a selfie with a statue of Fred in downtown Latrobe, his hometown and birthplace of the banana split. Spend a day at Idlewild & Soak Zone amusement park where Daniel Tiger and friends invite visitors to ride the trolley through the Neighborhood of Make-Believe. At Living Treasures Wild Animal Park, visitors get the chance to reach out and touch wildlife, give the animals a snack and take pictures. Furry friends include marmosets, fennec foxes and the popular two-toed sloth. But as animal lovers know, there is always room for one more. In 2019, Living Treasures will develop a habitat for three binturongs, also known as bearcats. Sixty years ago, the first whitewater rafting outfitter east of the Mississippi was established in Ohiopyle. Since then, millions of rafters have felt the thrills of the Youghiogheny River. Ohiopyle may be an outdoor mecca, but visitors don’t have to be an extreme adventurer to get on the river. The rafting outfitters offer a trip for everybody, regardless of age or experience, from a family float trip on class II waters, or an action-packed seven-and-a-half miles on class IV rapids. Join in on the fun at the Westmoreland Arts and Heritage Festival, an annual summer celebration held at Twin Lakes Park, near Latrobe, Pa. This year, the festival will be celebrating its 45th year. There is more than enough to do during the festival weekend, including more than 50 live performances, 180 arts and crafts booths, heritage and history demonstrations, children’s activities and tons of ethnic food booths. In addition to art exhibitions and sales, the festival hosts “FestivalCon” for superhero and anime fans and a juried poetry and short story contest. In early 2019, Historic Hanna&apos;s Town will unveil its brand new history education center, which will serve many purposes to visitors. For the first time, items will be taken out of storage and be displayed, thanks to the brand new exhibit space. The exhibit gallery will also showcase items from other regional historic groups. The multipurpose room will be utilized for year-round programs, classes and events for all ages. And as if the center isn&apos;t cool enough, a laboratory will be home to significant portions of the historical society&apos;s archaeological artifacts, available for research by professionals and students. A magnificent mountainous region, the Laurel Highlands spans 3,000 square miles in southwestern Pennsylvania. Located an hour east of Pittsburgh, the beautiful four-season destination offers some of the most spectacular natural scenery, outstanding outdoor recreation, historic sites and attractions, family activities and world-class resorts. Notable destinations within the region include four architectural masterpieces by Frank Lloyd Wright – Fallingwater®, Kentuck Knob, Mäntylä and Duncan House – Nemacolin Woodlands Resort, Seven Springs Mountain Resort, Flight 93 National Memorial, Idlewild and Soak Zone, whitewater rafting at Ohiopyle State Park and more. Visitors to the Laurel Highlands can find information online at www.LaurelHighlands.org, calling 724.238.5661, www.facebook.com/laurelhighlandsPA and www.twitter.com/laurelhighlands. Established in 1958, the Laurel Highlands Visitors Bureau is the official destination marketing organization for Fayette, Somerset and Westmoreland counties in southwestern Pennsylvania.